*I haven't included my mascara fan brushes or my nail art fan brushes... just the face ones. The first three are essentially very dense, quite fluffy but reasonably flat brushes. Hands down, the daddy of them all is the Louise Young "Super Fan" brush; it's by far the nicest to use and by a long shot, the softest. The Crown IB120 I never use anymore - it's the first one of these I ever bought and the reason I always hated fan brushes - it's horribly harsh and scratchy. The Crown 143 is no where near as bad but still slightly scratchy (there are some great Crown brushes out there; these aren't some of them). 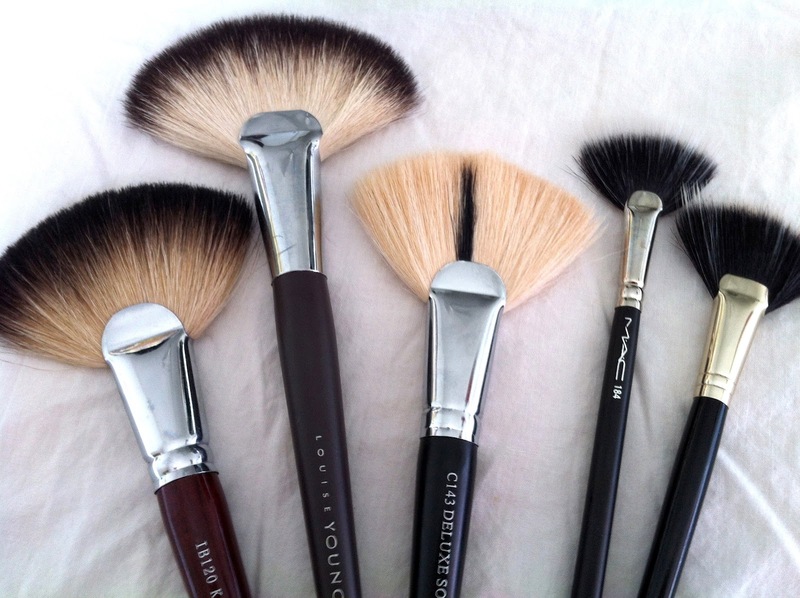 The other two, the MAC 184 (LE I believe) and the Laura Mercier Fan Powder brush, are both thinner dual fibre brushes. Of the two, the Laura Mercier has the edge, as it's slightly bigger and features slightly more densely packed hairs. 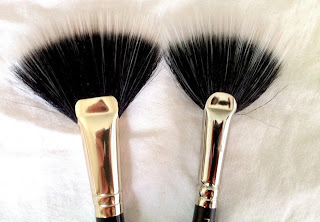 Fan brushes can be used to dust on a small, diffuse amount of powder blusher or highlighter products. They can be used on their side to add (again, a diffuse) contour powder product. They can be used to apply finishing powder to the face, or to dust away excess blot powder. They can help to create a gentle, soft-focus effect on the face. You'll never get anything very definite or precise from one of these brushes, but if you want gentle and subtle, this is what you can use to create that. I don't think that they're a strictly necessary tool, I can honestly say I reach for mine maybe somewhere between two and five percent of the time. If even. But if I were to recommend one? Probably the super-large, super-soft Louise Young LY20 Super Fan brush, followed by the Laura Mercier Fan Powder Brush, if a thinner one is more your thing. 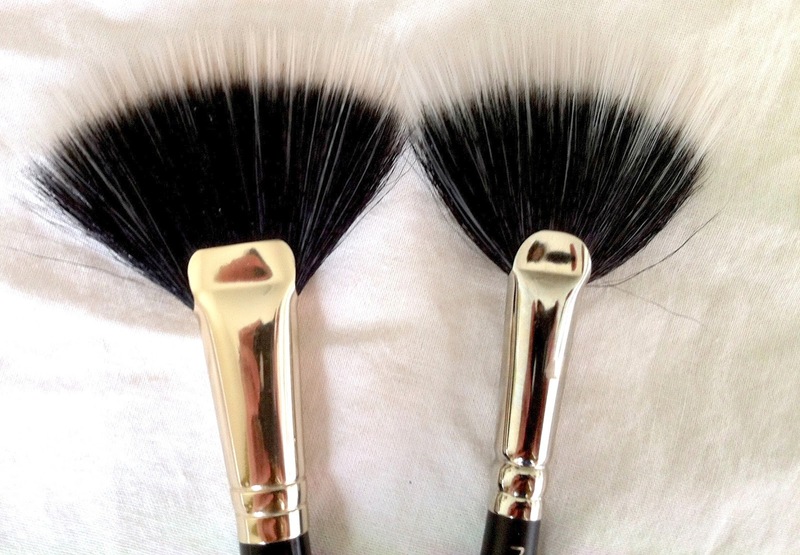 I wouldn't bother with cheaper alternatives; as with most really large brushes, this is one case where cheap usually means scratchy and if you're going to bother with a brush like this, you want it to be so super soft you barely feel it, to help create that "barely there" look.